Vegetarian 'cutlets' made from just a few simple ingredients - these are so versatile! 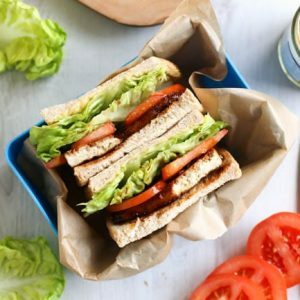 As a vegetarian, it can sometimes be hard to know what to serve as the main focus of your meal – especially if you’re used to ‘meat and two veg’ style meals. 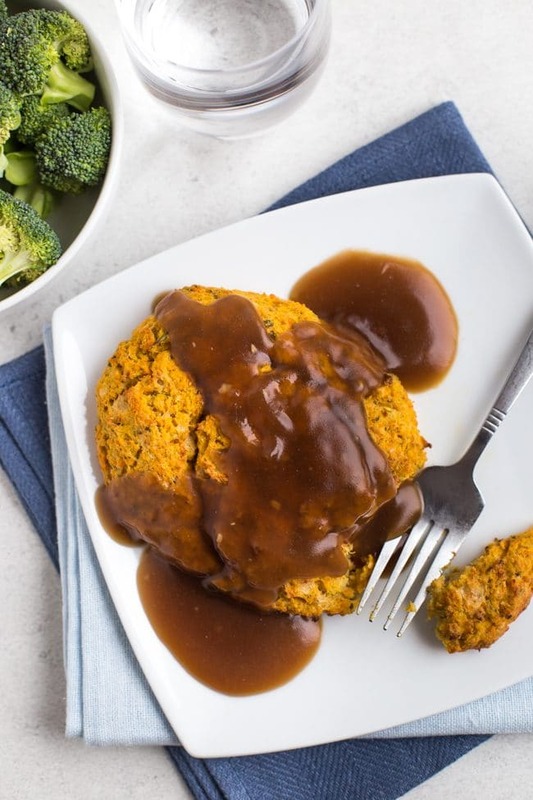 These carrot and white bean veggie cutlets are a great option! 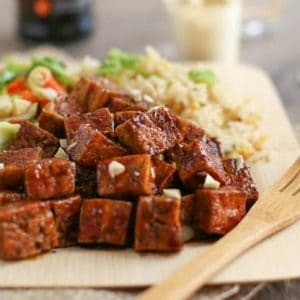 They’re really versatile, and can be served in any number of ways as an alternative to meat. First up, what the heck is a cutlet? I know I’ve used the word in the title of this recipe, so I feel like I should know, but I don’t. I actually think it’s one of the words that has so many meanings, it’s hard to pin down an actual definition – like the word ‘salad’ (go on, try and define a salad!). It basically seems to be any mixture of ingredients, formed into a rounded shape. That’s about as specific as I can get. But cutlet is the word that came to mind when I made these, so cutlet is what they shall be called. 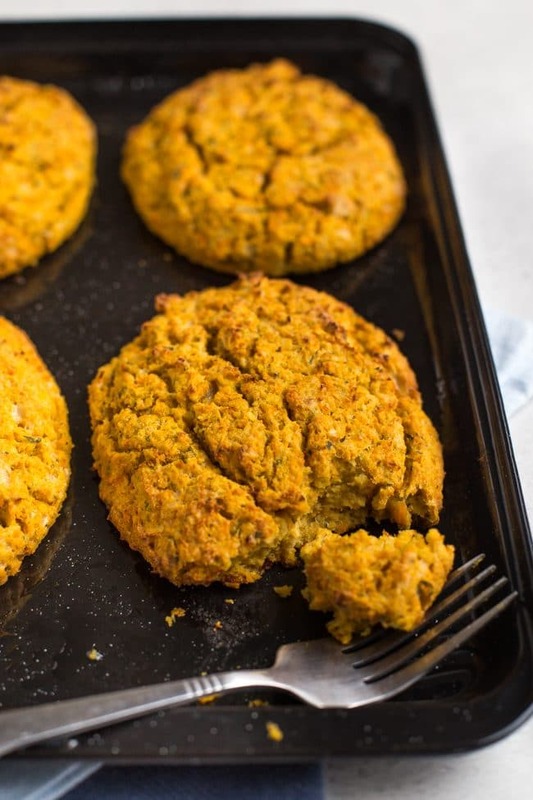 And these carrot and white bean veggie cutlets are definitely worth making! 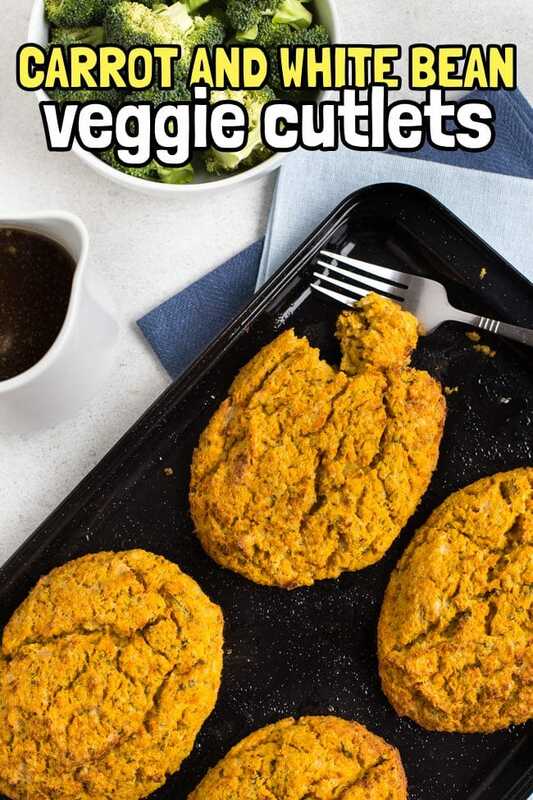 What’s in these veggie cutlets? The main flavour of these veggie cutlets is carrot and cheddar cheese. 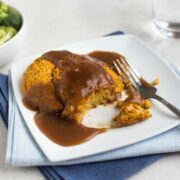 It’s such an amazing combination – one I don’t use often enough, actually – especially since the carrots take on a slightly sweet flavour as the cutlets bake. Roasted carrot + slightly crispy cheese = perfect combination! That’s it – it’s such a simple mixture of ingredients, but so yummy! As with lots of my recipes, I made sure there was no pre-cooking required to make these cutlets (who can be bothered?). 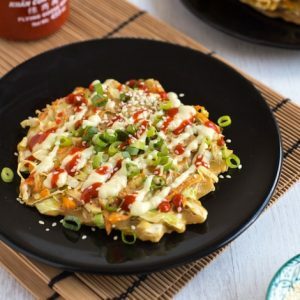 You don’t need to fry off any vegetables, you don’t need to boil anything in a pan – just chuck all the ingredients in a food processor, and give it a good blitz. That’s the mixture done! 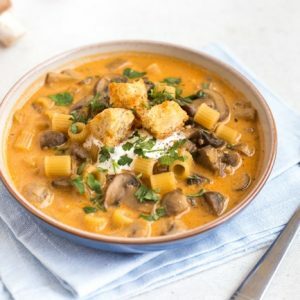 Even the raw carrots and cheese can be chopped up in the food processor – just cut them into a few smaller chunks before you throw them in, to give it a helping hand. Once you’ve blitzed up the mixture, it’s time to form it into the cutlet shape (whatever that is). So easy! I made 4 cutlets from my mixture, but they were a pretty generous size – you could easily stretch it to make 6. 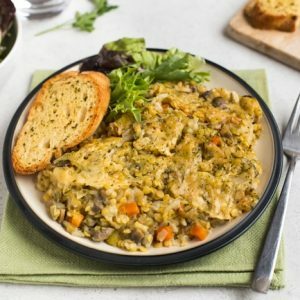 How can I serve these veggie cutlets? …or however else you fancy. You never know, they might be your new go-to veggie burger / ball / cutlet. Place the artichoke hearts on a plate lined with kitchen paper - this will just help to drain away any excess oil. Leave for a couple of minutes. Add the chunks of carrot and cheddar cheese to a food processor, and pulse several times to begin chopping them. When they've broken down a bit, continue to blitz until they're well chopped. Add the artichokes, beans, parsley and bread, and blitz again until no large chunks remain (you may need to scrape down the sides a couple of times). Add the egg and a good pinch of salt and pepper, and blitz again to combine. 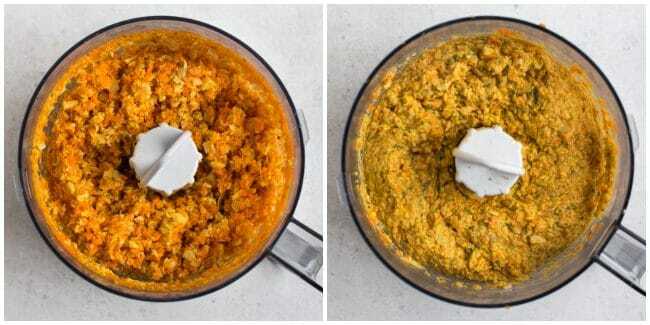 Use clean hands to shape the mixture into cutlets (if you're reaching straight into the food processor bowl, make sure you remove the blades first!). Place the cutlets on a greased baking tray, leaving a couple of inches between them. I made 4 large cutlets, but you could easily stretch the mixture to make 6. Bake at 190°C (Gas Mark 5 / 375°F) for around 40 minutes, or until the veggie cutlets are golden brown and firm. This looks yummy! I think technically a cutlet is a particular cut of meat. In terms of veggie cuisine I think of it as any individual portioned thing that can be eaten as a roast. 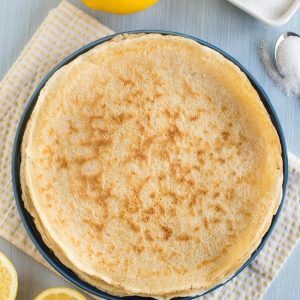 This looks so much easier than most similar recipes I’ve found! It’s on the meal planner for next week. I think I’ll be making this for our Christmas dinner this year. Thank you so much for the recipe! Whoa whoa whoa, really?? This is coolest dish ever! I would never have thought to do this. I always thought ‘cutlet’ was a thin chicken breast, lol. Pinning! I have never seen a recipe like this. Great idea and they look really good! I Pinned it!! I’m intrigued. I’m always looking for more ways to get veggies into my kids. We would love it if you can and share this and others at Saturday Dishes. 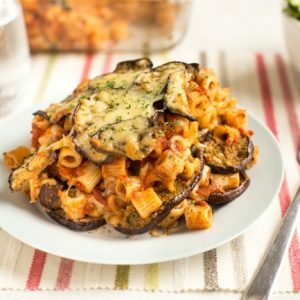 This week’s theme is healthy recipes! wow! what a gorgeous plate, it looks so good! I will be making these cutlets. What a tasty way to get your veggies. Pinned to my Food and Drink to make board. I made these today. Super easy with minimal clean up, and hearty to eat ( made them into sliders) The canellini beans are a nice change from the black or kidney beans that I always use. It would be better with a sauce though. What kind of sauce/gravy did you put on yours? Thanks for a great quick and tasty recipe! 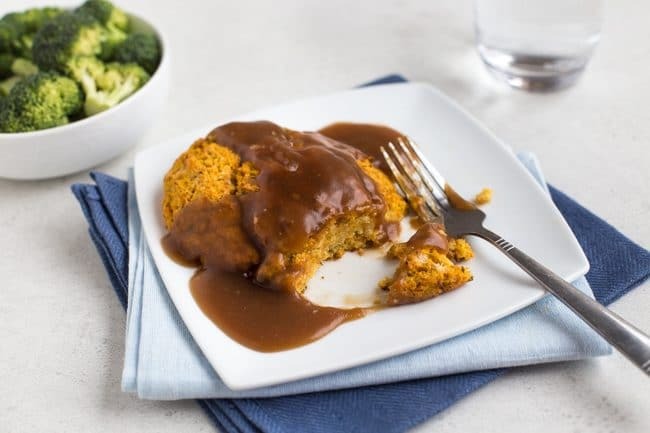 I served mine with gravy as you can see in the pictures :) I just used Bisto because it’s my favourite thing ever! What kind of gravy would I put with these cutlets? Mushroom maybe? Thinking of making these for Christmas dinner. I think a cutlet basically means something crumbed and fried, but you know language is a constantly evolving beast so let these be cutlets they look delicious as a vehicle for gravy which is never a bad thing. Oh I will try these soon. Thank you for your wonderful recipes. One suggestion…I wish the pic would print with the recipe. Have a good weekend. Thank you for the reply. Yes I have to agree some like to save their ink. I always like a photo so I know what I am shooting for and it helps my poor ole memory. Have a great weekend. 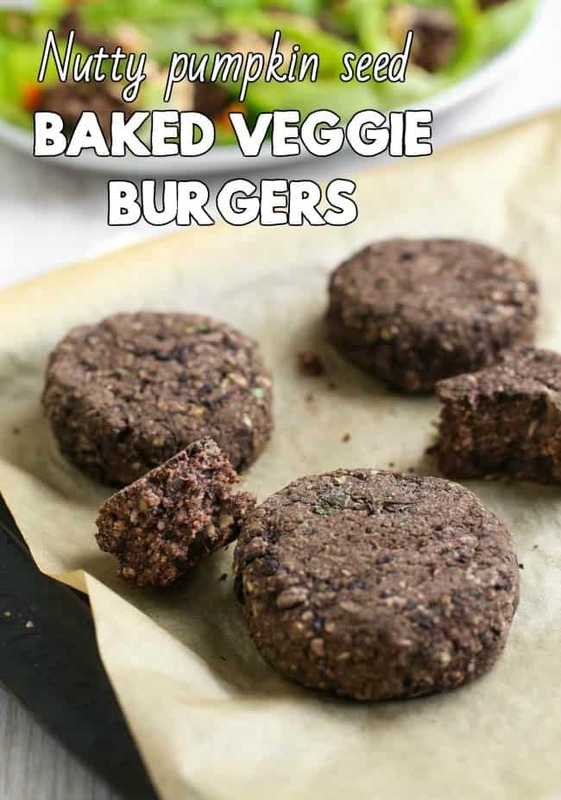 Bean and veg patties are one of my very favorite vegetarian entrees! So rich & satisfying, even though I can’t bring myself to call them cutlets when I’m not cutting anything. Is that where the term came from–cutting a piece of meat off a roast? Who can say in this brave new day and age? :) Anyway, these guys sound great! I usually do the carrot-white bean combo in soup form, so I’m excited to try it like this as well. these look so good! I love that you can see the fresh spices in them! Ooh those look SO DELICIOUS – and (apart from – as you say – no pre-cooking/frying) I love the fact that they are baked in the oven as I’m really hopeless at “shallow/deep frying” – I will definitely make them as canapés for our Xmas party! Ooh that’s a great idea, you could make little mini ones in a cupcake tray!